With regular summer flights from Dublin with Aer Lingus, rugby-crazed Perpignan has effectively come closer to Ireland in recent years. It’s a fine town near the sea and steeped in Catalan history – a place where the waving of the orange-and-yellow striped flags outnumbers the French tricolour. The town of 120,000 souls is also an excellent gateway to the great beach resorts along this stretch of coast as well as to the nearby Pyrenees. The main market of Perpignan is the Marché Cassanyes. A veritable Perpignan institution, it takes place every day at Place des Cassanyes from 07:30 to 13:30, Boulevard Anatole France. With between 80 and 140 different vendors, this is a colourful mixture of food, clothing, cosmetics, jewellery and seemingly everything else under the Mediterranean sun. 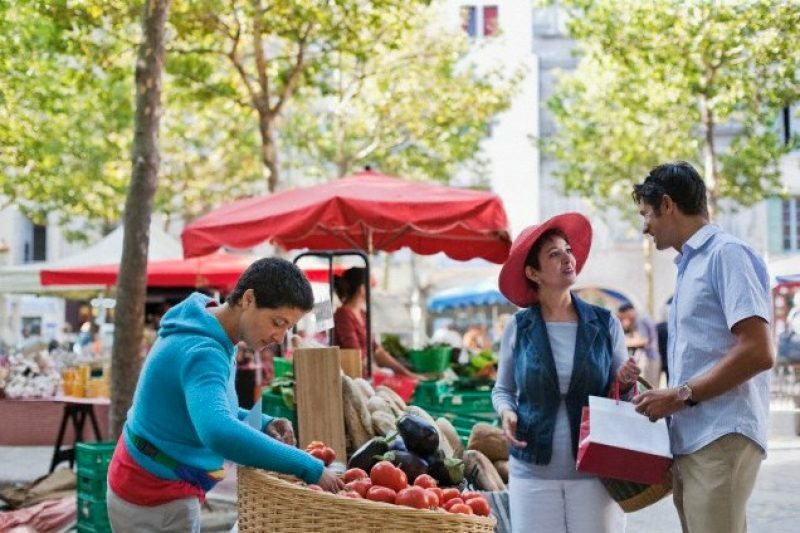 The Marché République takes place from 07:30 to 13:00 from Tuesday to Sunday inclusive on the central Place de la République. In essence, this is a food-lovers’ market, even though that doesn’t preclude some clothing and other knick-knacks too. If you’re around for the Saturday version, it’s reserved for farmers and producers of organic food (produits bio, as they’re known to the French). Finally, Perpignan’s flea market (Marché Aux Puces) takes place at the rather fancy Parc des Attractions on Sunday mornings throughout the year from 07:30 to 13:30.